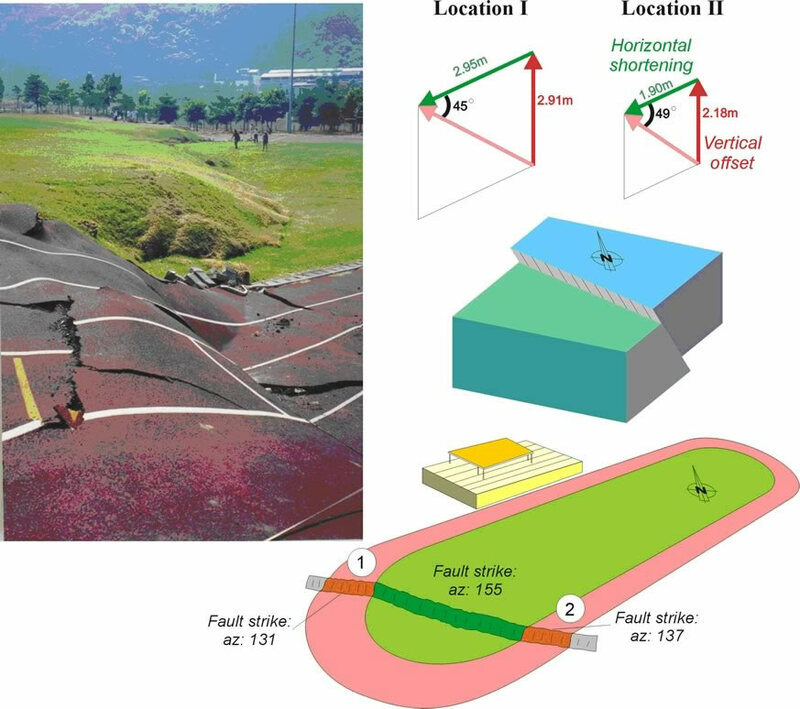 Near the central portion of the 100-km stretch Chichi rupture, the fault segment cuts across the sport stadium of the Kuangfu Junior High School at Wufeng and creates a 2-3 m fault scarp (Angelier et al., 2003, Fig. 1, see Fig. 2 for stop location). 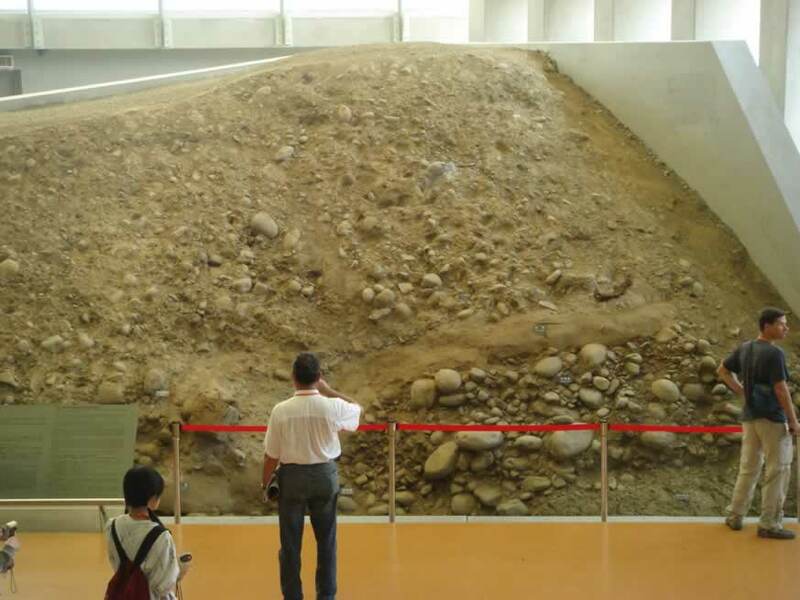 The site has now become the earthquake museum to commemorate the loss caused by the Chichi earthquake and to witness the surface rupture brought about by the earthquake. 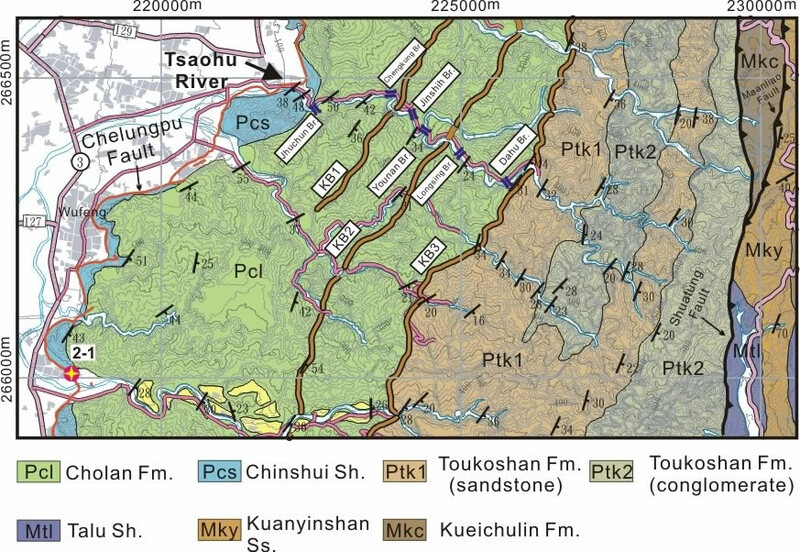 Kinematics analysis and reconstruction of the movement of the fault in the Kuangfu school, near Wufeng (after Angelier et al., 2003). The earthquake fault formed a 2-m high thrust scarp and cut through the sport stadium. The lines on the running tracks allow measuring the displacements of the fault in 3 dimensions. Note that the strike of the surface fault changed because of the different mechanical properties of surface materials. The reconstructed fault geometry shows a reverse fault with a fault plane dipping 45°-50° to the east.